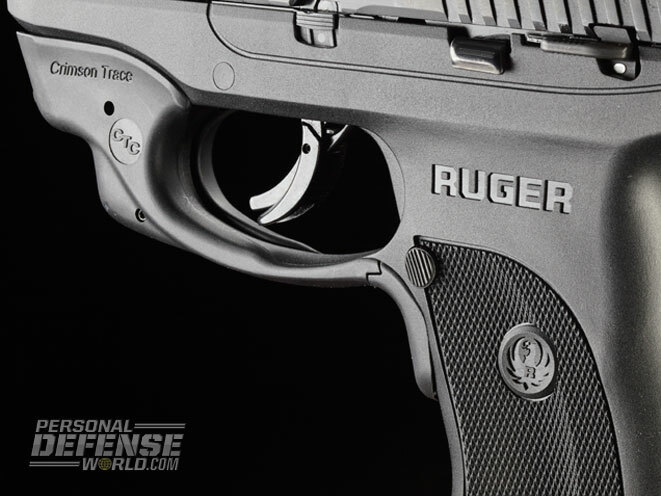 A look at Ruger's new sub-$450 striker-fired LC9s primed for personal defense! 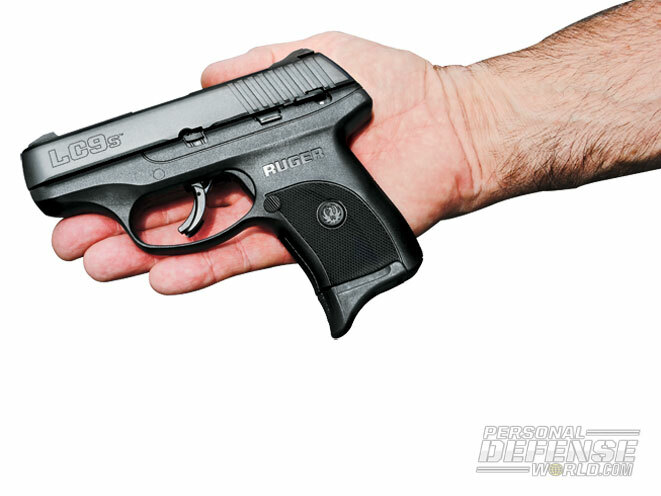 The striker-fired LC9s is Ruger’s newest addition to its line of subcompact pistols. 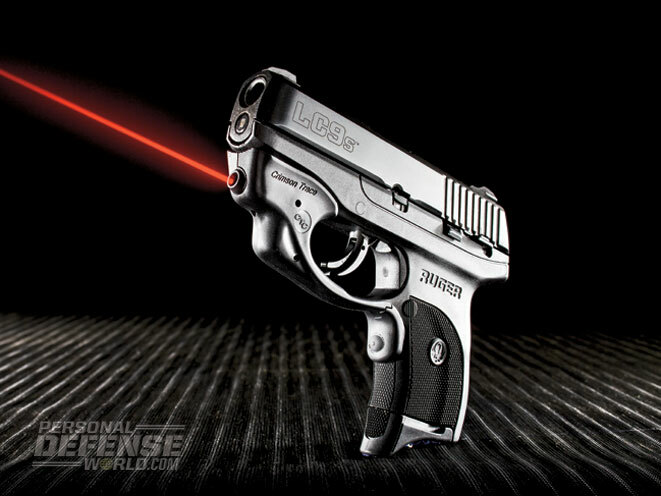 For faster targeting, Ruger offers the LC9s with a Crimson Trace laser as an option. 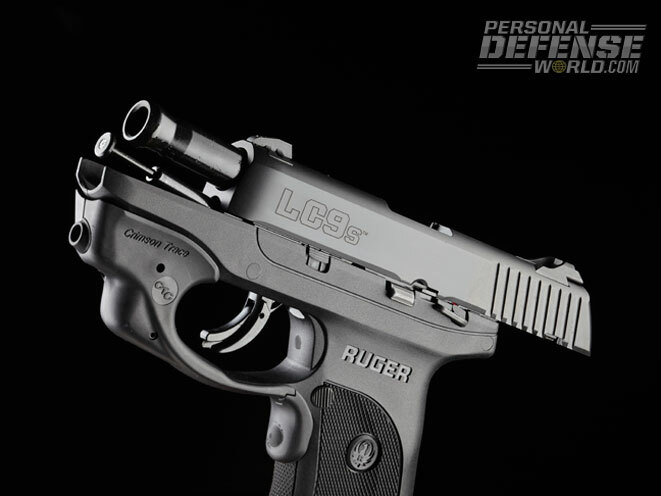 The LC9s comes with metal, windage-adjustable, three-dot sights. Also note the port at the rear of the chamber hood for verifying if a round is chambered or not. 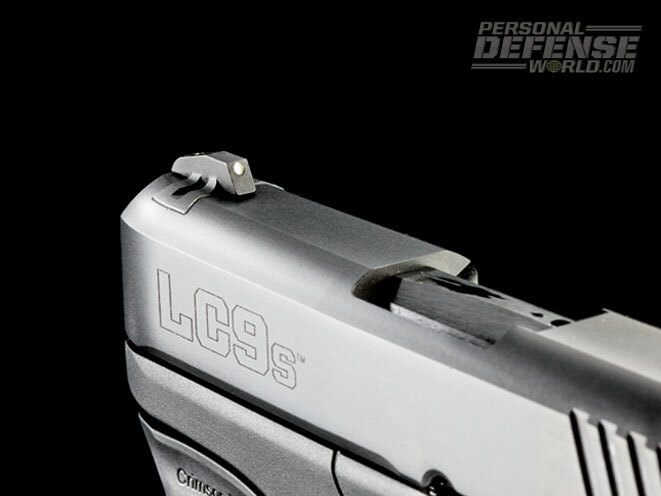 The LC9s is only 0.9 inches wide, making it perfect for pocket, ankle or inside-the-waistband carry. The extended magazine’s baseplate helps mitigate recoil. 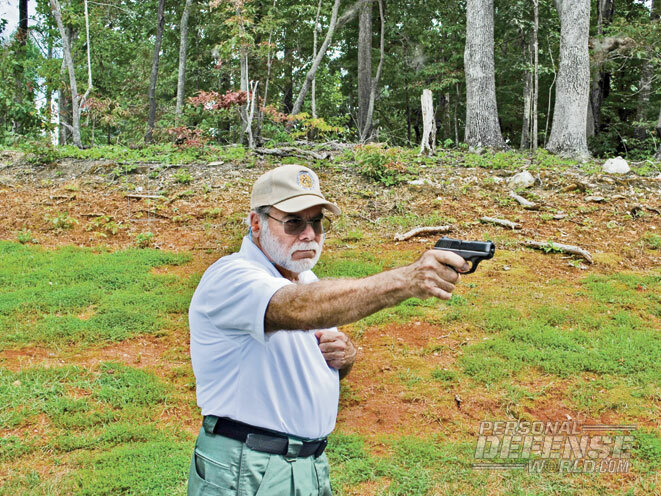 Off-hand drills showed the LC9s to be a naturally pointing, accurate subcompact. 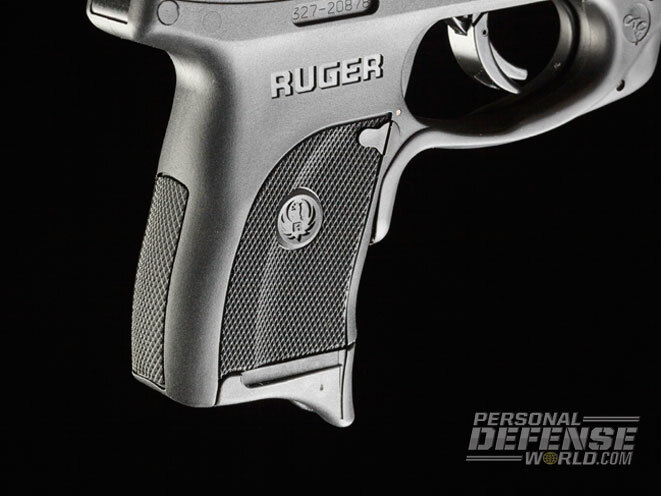 In 2008, Ruger unveiled its .380 LCP (Light Compact Pistol), which was designed specifically for concealed carry. 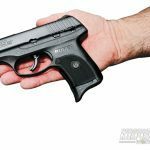 While the LCP proved popular with both civilians and police, there were those who wanted a similarly sixed pistol but chambered for a cartridge with more authority. 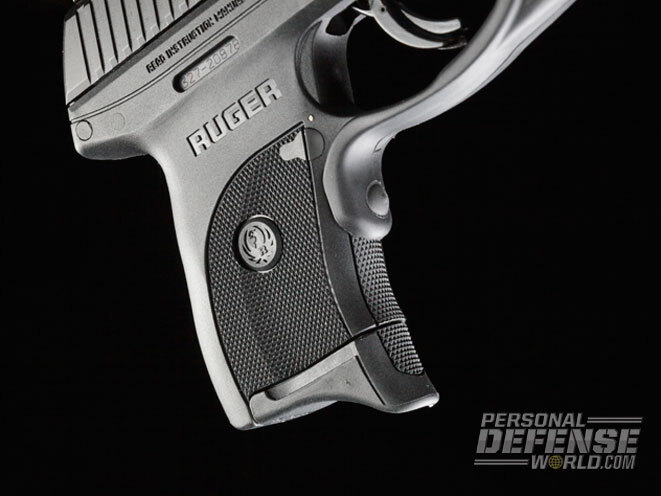 To answer this criticism, Ruger subsequently unveiled the LC9 (Light Compact 9). 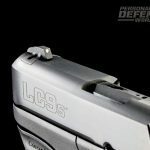 As can be ascertained from its name, the LC9 was chambered for the 9mm cartridge. 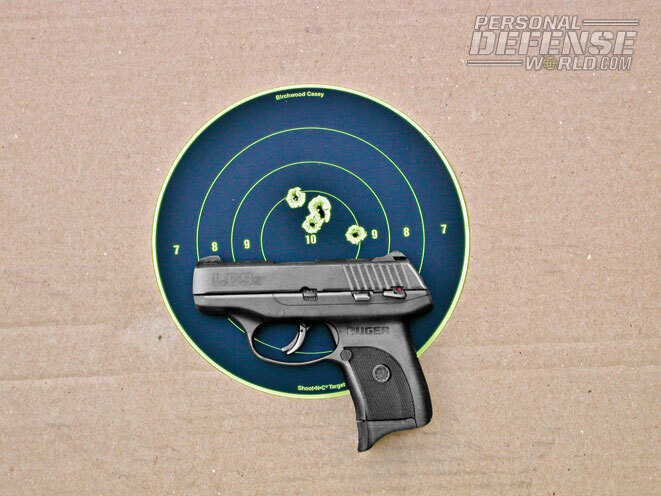 While there are those who belittle the 9mm as a defensive round, it is not only significantly more powerful than the .380 ACP, but thanks to modern propellants and JHP bullets, it performs better than the .38 Special, especially when fired from short-barreled handguns. 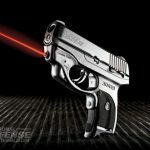 And it does this with lower levels of recoil, which is a prime consideration when using small, light handguns. 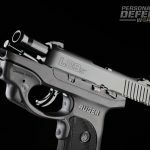 The LC9 was a very practical pistol and thousands have been sold to law enforcement officers for backup and off-duty carry. 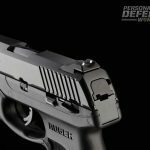 It has proven equally popular as a personal defense pistol with licensed civilians. 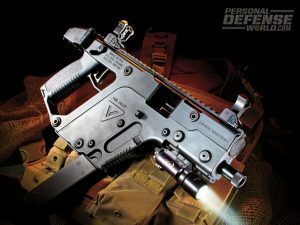 As one who cut his handgun-shooting teeth on double-action (DA) revolvers, I found no problem with the LC9’s double-action-only (DAO) trigger, but there were those who felt the long trigger stroke was detrimental to accuracy. 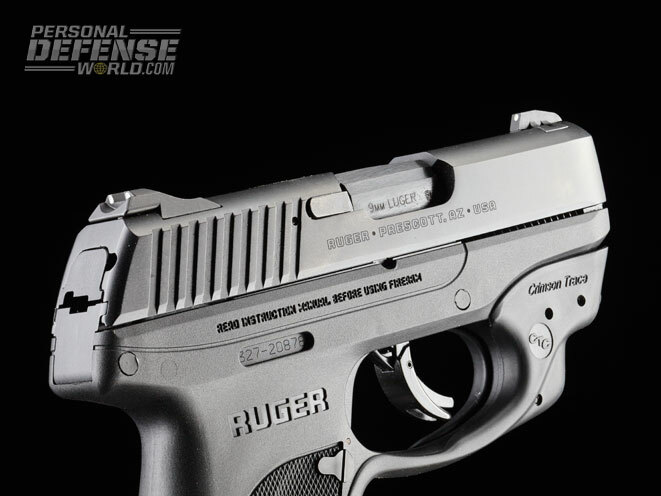 In an attempt to remedy this criticism, Ruger’s engineers developed the LC9s. 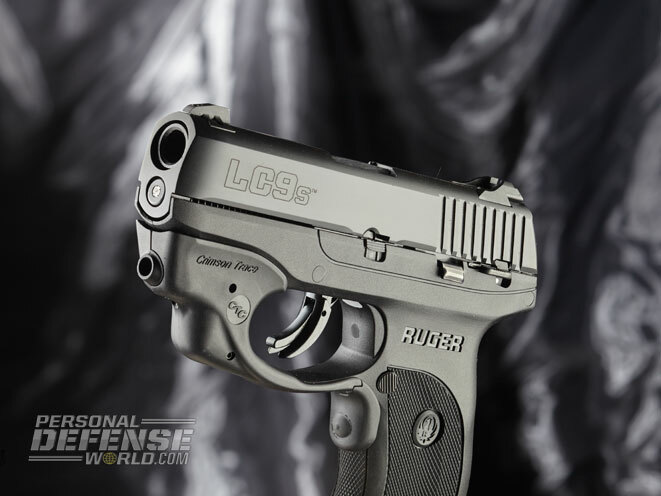 As one might expect, the LC9s shares many of the features of its predecessor. First of all it is small—only 6 inches long and 0.9 inches wide. It is built on a glass-filled nylon frame that helps pare its unloaded weight to a bit over 17 ounces. 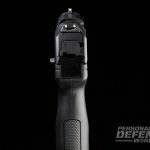 Inside the pistol’s grip frame is a hardened alloy insert that provides additional strength and the dual rails that the slide reciprocates on. 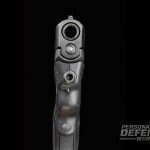 The slide itself is machined from hardened steel, features a blue finish and is fitted with low-mount, easy-to-see, three-dot sights, both of which can be drifted to make windage adjustments. 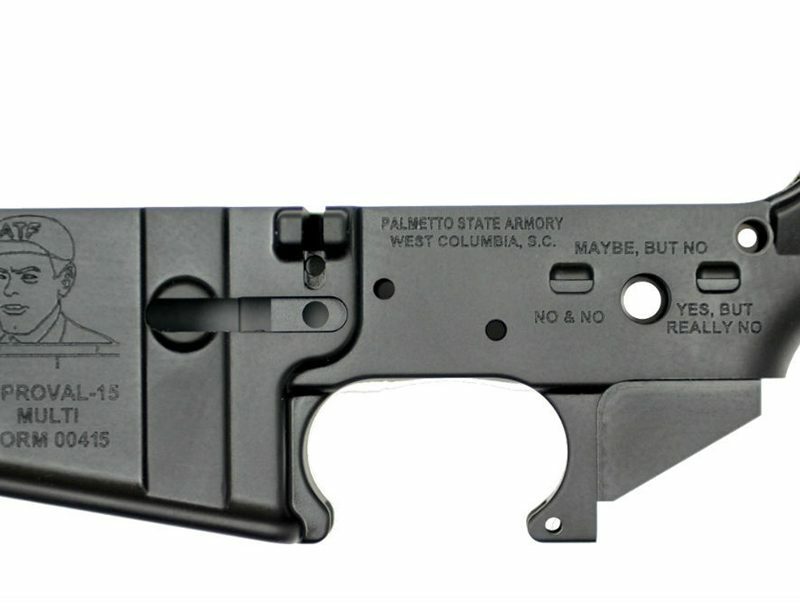 Both the slide and frame have been “melted” to remove any sharp edges or corners that might injure the shooter’s hand while reloading or clearing a malfunction. 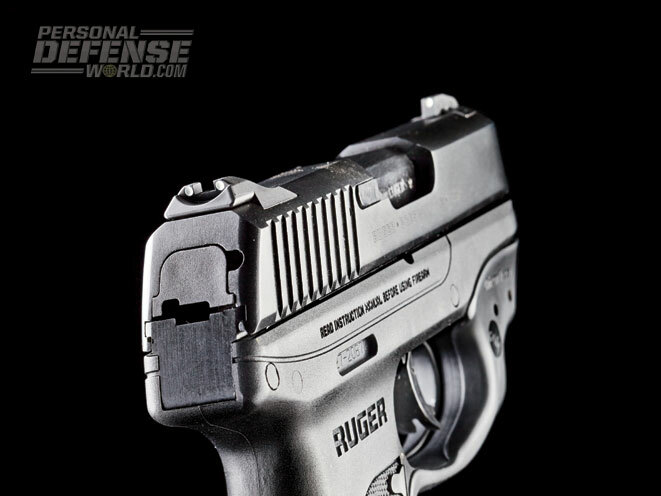 This process also makes it easier to draw the pistol from concealment and reholster it without snagging. 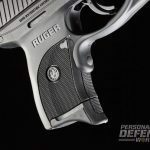 And it uses all existing Ruger LC9 accessories including lasers, holsters and extended nine-round magazines. The design includes a trigger safety in the form of a “paddle” that prevents movement unless it is fully depressed. 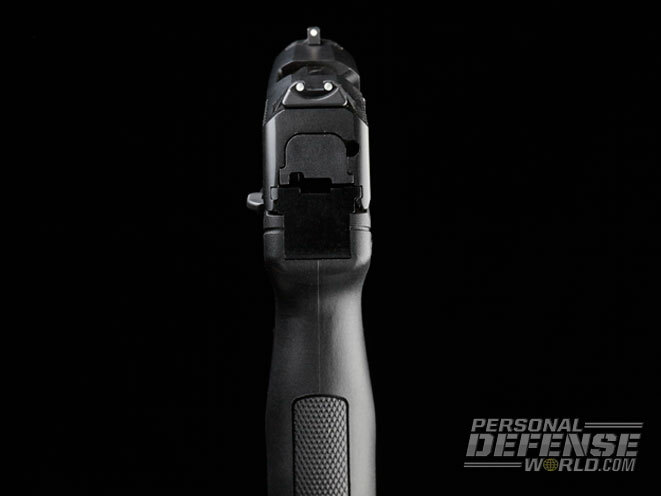 In addition there is a manual thumb safety, an internal striker blocker, a magazine disconnect safety and an inspection port in the chamber hood that allows for visual confirmation of a loaded or empty chamber. An orange-colored, inert magazine is supplied with each pistol for safe disassembly and can also be used to practice dry-firing. The LC9s’ magazine holds seven rounds. 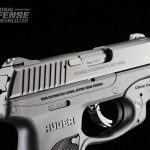 With one in the chamber, this gives the shooter three more rounds than most snub-nosed revolvers. 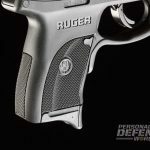 For those with larger hands, Ruger supplies a finger rest extension magazine baseplate which allows a full, three-finger grip on the pistol. When combined with the grip’s aggressive texturing, you get improved recoil control. 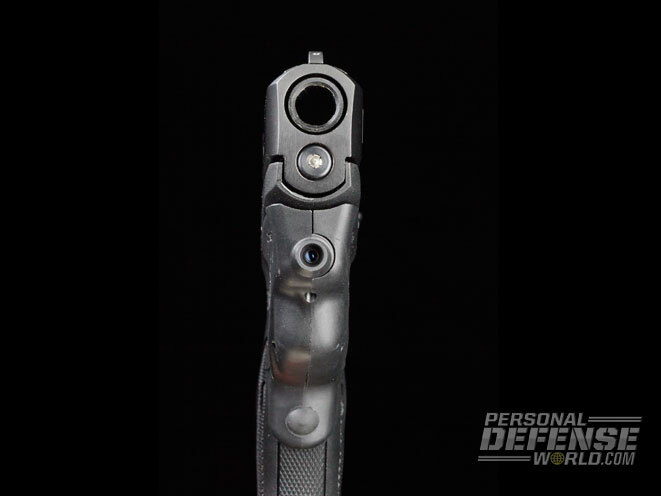 Despite its demure dimensions, the LC9s is a locked-breech design. Locking is accomplished by the barrel hood moving up into (and bearing against the front of) the ejection port. 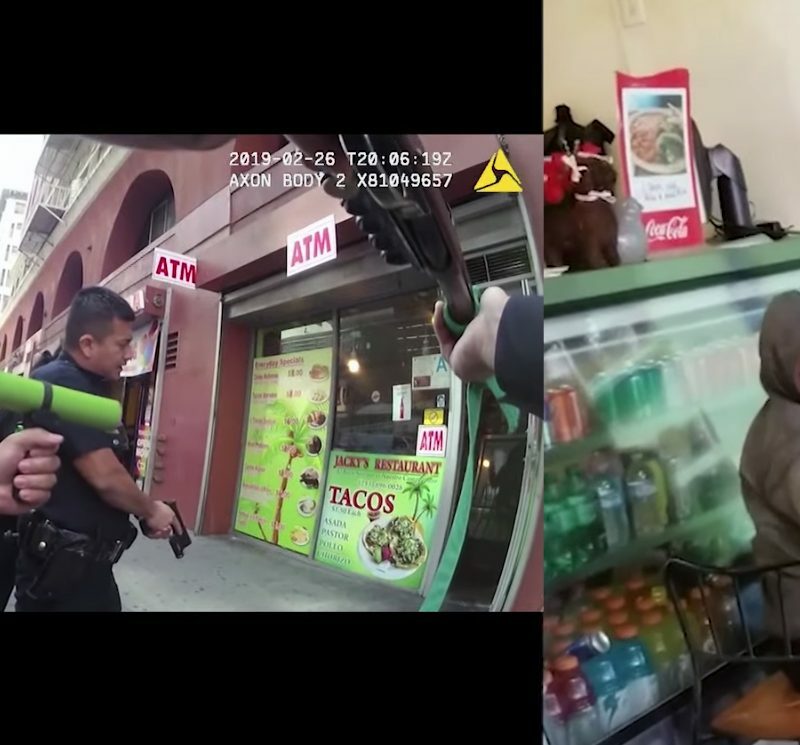 When the shooter presses the trigger of a cocked and loaded pistol, it disengages the trigger safety and pulls the trigger bar forward. As the trigger bar moves forward, it pushes the striker blocker up and releases the sear, allowing the striker to move forward and fire the cartridge. The barrel and slide move to the rear locked together for a short distance, whereupon a cam on the bottom of the barrel articulates on the frame insert, pulling the barrel and allowing the slide to continue to the rear, extracting and ejecting the spent cartridge case. As the dual recoil spring unit pulls the slide forward the rudder on the end of the striker engages the sear, holding it in a fully cocked position. As the slide goes forward, it strips the next round out of the magazine and chambers it as the barrel is cammed up, locking the two units together again. Escaping for an afternoon to the gun club, my partner and I test-fired it for accuracy at 15 yards from an MTM K-Zone rest. The pistol had a light trigger stroke with a bit of take-up before 4 pounds of pressure tripped the sear. 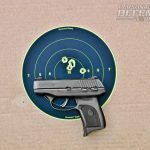 While they were mounted low, the sights provided a rather decent sight picture and were well regulated, letting me produce well-centered five-shot groups in the 2- to 3-inch range with three different brands and bullet weights of 9mm ammunition. 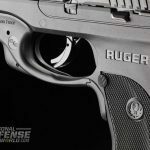 I feel that such performance is more than satisfactory for a pistol of this class and, dare I say, is what I have come to expect, and appreciate, about Ruger products. The LC9s showed a preference for heavier, slower-moving bullets and performed best with the Hornady 147-grain TAP loads. 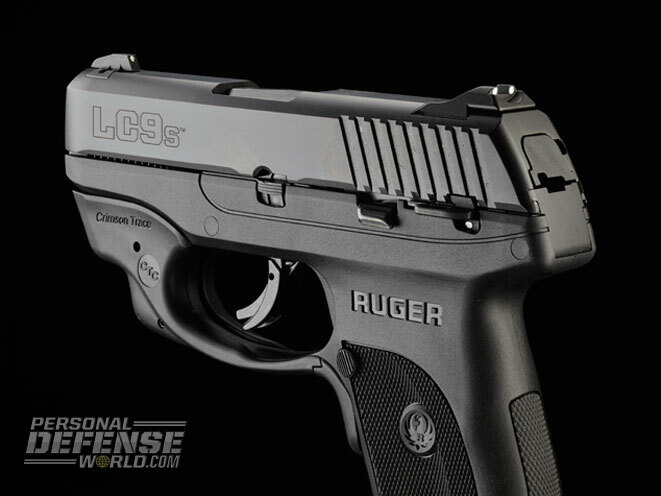 The only concern I can voice about the LC9s is its rather light, short trigger stroke. 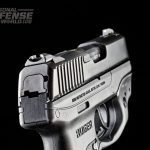 While this is no doubt one reason for its excellent accuracy, I felt that some of us might be uncomfortable carrying a pistol with such a trigger in inside-the-waistband (IWB), ankle or pocket holsters with the accompanying possibilities of it hanging up on clothing during a presentation or reholstering. 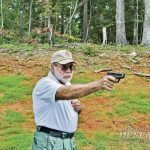 After a bit of practice at the range, I found that disengaging the safety was smooth, effortless and almost a natural action as I drew the pistol from a Galco Front Pocket holster; it did not in any way slow down getting off a first, accurate shot. 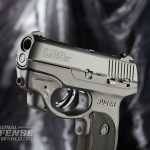 For my own peace of mind I have decided that when I use the LC9s for concealed carry, I intend to carry it with a loaded chamber and the safety in the “on” position, and I would recommend this mode of carry to others. 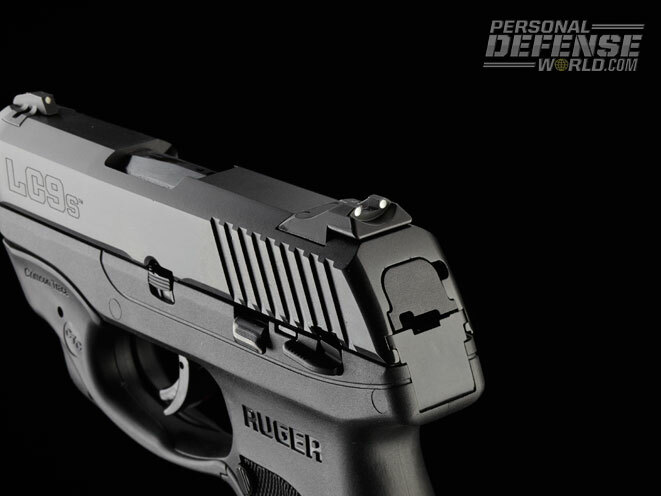 I found the LC9s a fitting addition to Ruger’s line of compact, concealable pistols. 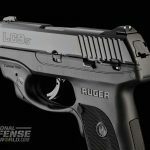 If you are looking for a lightweight, compact pistol—that’s chambered for an authoritative cartridge—for personal/home defense, concealed carry, backup or off-duty use, I believe Ruger’s LC9s can handle all of those tasks, and probably a few more.